Rounton Grange, a great hall once the epicentre of East Rounton was designed by the father of the Arts & Crafts Movement, Philip Webb for Isaac Lowthian Bell around 1870. Webb is known for his country houses being unpretentious and informal; his first commission being the Red House (1859) for his friend William Morris. Unfortunately the Grange was demolished in 1953 after failed attempts to give it to the National Trust. The only things that remain of the hall are various buildings that served it. 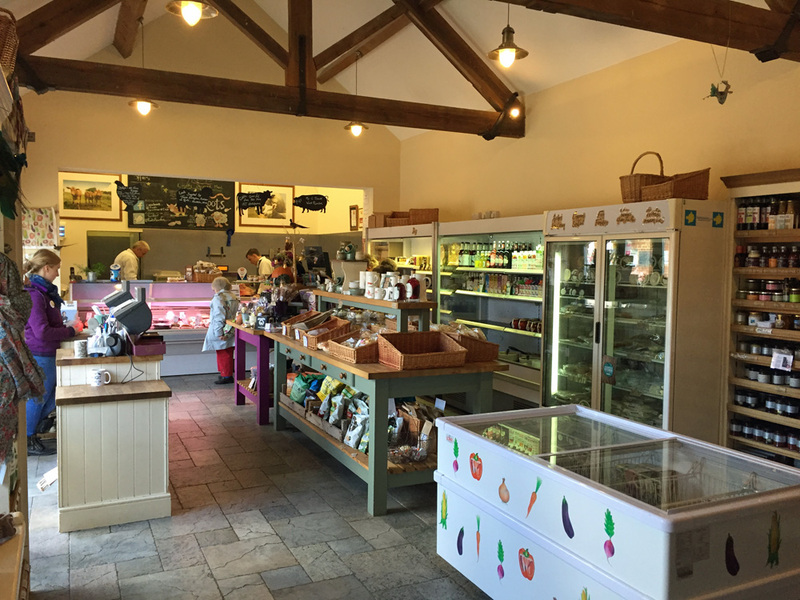 Home Farm (Roots Farm Shop) is one of the remaining legacies of the old estate, an unusual example of Webb’s work, as the detailing in the design of both the farm house and buildings was as carefully executed as the grand houses he designed. The Grange’s Walled Gardens are still in East Rounton and is now home to Dark Star Plants. Gertrude Margaret Lowthian Bell, the daughter of Sir Hugh Bell by his first marriage, achieved international fame through her skills as an Arabist, archaeologist, museologist, and who through her political skills became highly influential to British imperial policy-making. Along with T.E.Lawrence, Bell played a major role in establishing and helping administer the modern state of Iraq, utilising her unique perspective from her travels and relations with tribal leaders throughout the Middle East. During her lifetime she was highly esteemed and trusted by British officials and given an immense amount of power for a woman at the time. She has been described as “one of the few representatives of His Majesty’s Government remembered by the Arabs with anything resembling affection”. Many years ago we needed some stone window cills and we sought out Ernest Pilling’s stone yard in East Rounton. He had spent his life demolishing East Rounton Grange, cutting and recycling the stone for uses such as ours around the county. Although he had a long waiting list we were fortunate as his lucky number was “4” [as seen painted on his wheelbarrow], and our car [an MG Maestro Turbo] had the registration “444”. He took this as an omen and our stone was delivered the following week. The stone yard carries on still – Robert Pilling Stone Craft – Stoneyard, East Rounton. So, Roots. 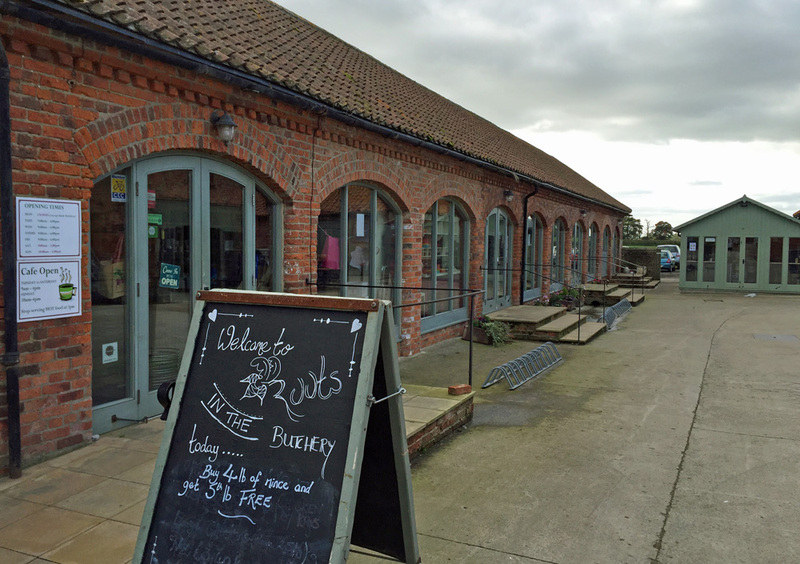 Ever popular shop, with onsite butchers, café and [currently] Christmas shop, all set within the restored farm buildings designed by Webb. Lightly restored as the original buildings had clearly been carefully looked after. Very good value food with daily specials, cake of the day and scone of the day. 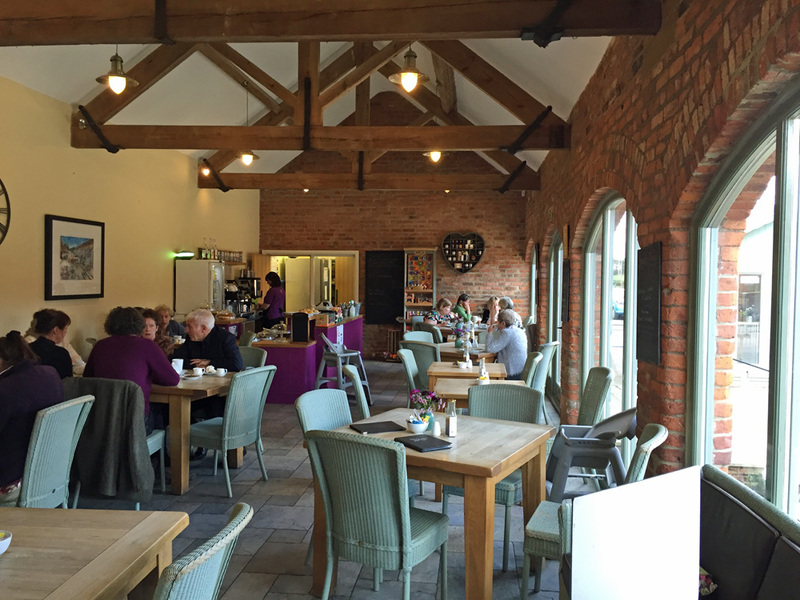 It’s lucky enough the be located a stone’s throw from the A19 ensuring easy access. They also do butchery classes – choose from beef, pork or lamb. Watch out for report coming shortly!